OTF-1200X-60HG-SS is designed for hydrogen decrepitation and dehydrogenation of magnetic material in lab scale. The processing tube is made of high quality SS-310A which contain Hydrogen gas upto 125 atm at 600°C. 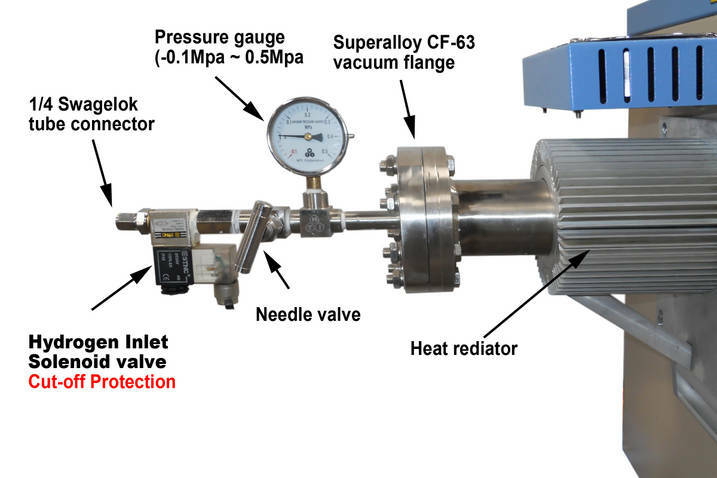 A small hydrogen generator is included in the system. 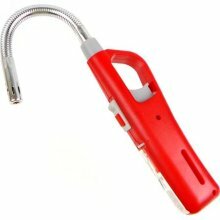 One 3M hydrogen detector is included which will shutdown Hydrogen gas generator and gas inlet valve immediately once detecting hdrogen gas leaking. Also the furnace can be used for all kind of inert gases. Precision temperature controller is 30 segment programmable. The pressure sensor is installed in the flange. The pressure will be displayed in the pressure controller in the front panel of furnace. The alarm system is built in the pressure controller which allow user to set up the high and low limit point of pressure. When the measuring pressure exceed limit point, the alarm strobe and whistle will be activated for warning. 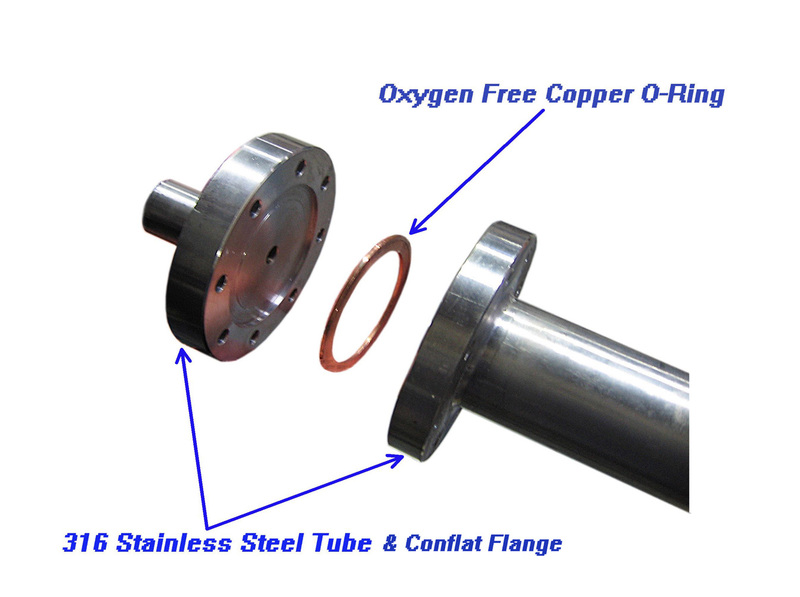 Two stainless steel (316) flanges weld to tube with double high temperature copper O-ring. click to view details QL-500 is a compact & light weight, save & cost effective , energy-saving & environmental friendly advanced hydrogen generator. It producing extremely pure hydrogen gas through the electrolysis of pure water without adding any alkaline . It can produce continuous / high purity H2 gas up to 500 ml/min with digital flow rate display, valve regulation and over-pressure safety protection. 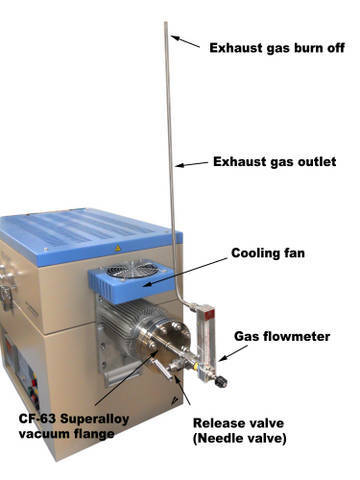 This generator is idea device to supply H2 gas for material processing, heat treatment and gas chromatography analysis, etc. in research laboratory instead of using heavy, expensive and unsafe hydrogen cylinder. 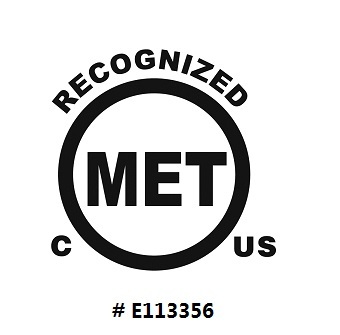 Certificate Components: Temperature controller is Met certified.